In June 2017 The Sims Team has finally announced that they’ll be bringing over The Sims 4 to Xbox One and PS4. Along with that they’ve also shared a statement that they’ll be bringing over all the packs to the console in order of how popular they actually are in the community. Year and a half later The Sims 4 Console has gotten PLENTY of packs including 6 Expansion Packs, 5 Game Packs and 13 Stuff Packs. The pattern of the pack releases was quite different from the pattern of releases for PC and Mac Packs. Some packs were released due to their well-known popularity in the community while some were released just a few moments after their release on PC and Mac (for example, Get Famous). Still, there are 2 packs left to be released for The Sims 4 Console which are…let’s say…quite dated at this point. 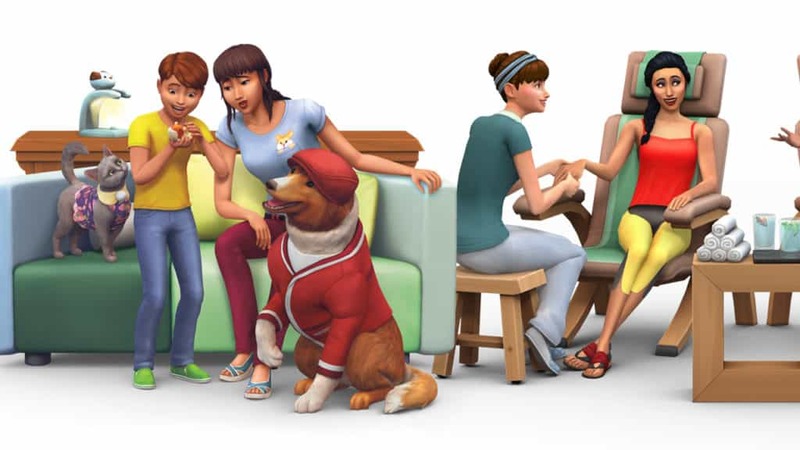 The first pack is The Sims 4 Spa Day Game Pack which was released back in July 2015 for PC and Mac while the second one is The Sims 4 My First Pet Stuff Pack released in March 2018. Although we probably all know why The Sims 4 My First Pet Stuff is one of the last packs that will be pushed out for consoles, it’s quite a surprise to find out that The Sims 4 Spa Day is one of the least popular packs in the simming community. Sure, the pack’s theme is quite specific but the Build & CAS items that it offers are some of the most used items in the community. It’s still not known when these packs will come out for consoles (don’t worry, we’re on a lookout for a potential release date leak regularly) but one thing is certain – they’re the least popular packs for The Sims 4. Yes, I think that you have an excellent point on the Spa Day pack. I don’t send my Sims to the spa much, but there are a lot of build/buy mode and CAS items that I use all the time! So what exactly is their definition of “use”, I wonder? I’m guessing their idea of “use” is the features, or the theme of the pack. So, even if you use the build/buy and CAS items, if you don’t take your sims to an actual spa, or create one, they don’t see it was using the pack. Darn. I like Spa Day, though I admit I don’t use it much because my sims rarely travel out of their homes (loading screens irk me).